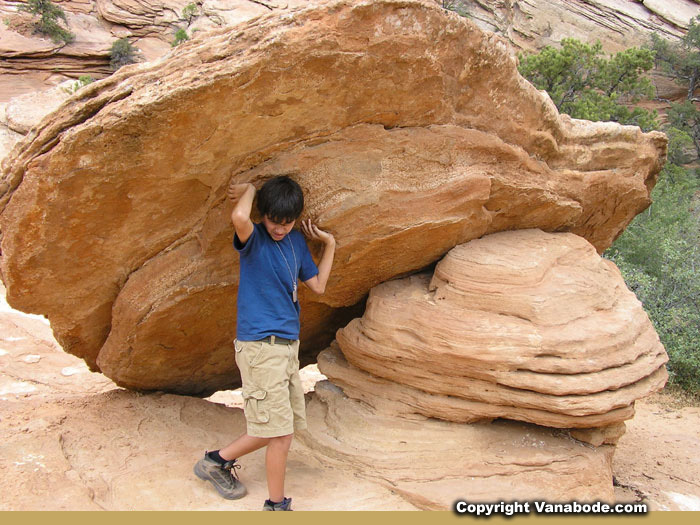 Zion National Park hiking information from those going there with kids. The Canyon Overlook is a terrific family hike. 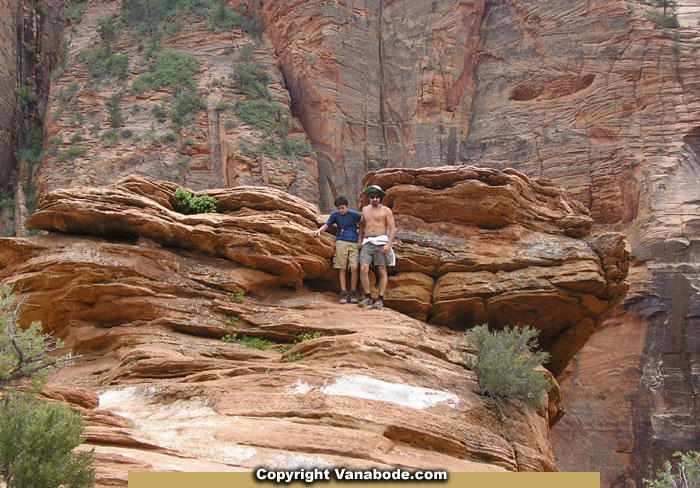 It is a short, moderate, rocky, uneven, and sometimes narrow trail ending at a remarkable lookout of lower Zion Canyon and Pine Creek Canyon. Canyon Overlook has good elevation and great views without the stress of hiking 8 miles to Observation Point or balancing your way across to Angels Landing. 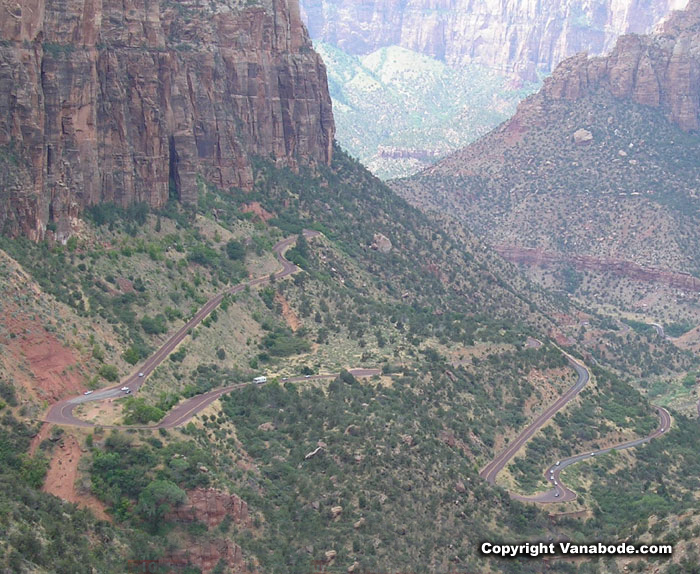 Canyon Overlook is on the east side of the 1.1 mile tunnel on Zion-Mount Carmel Highway. There is parking on both sides of the road. The trail begins behind the ranger's booth. 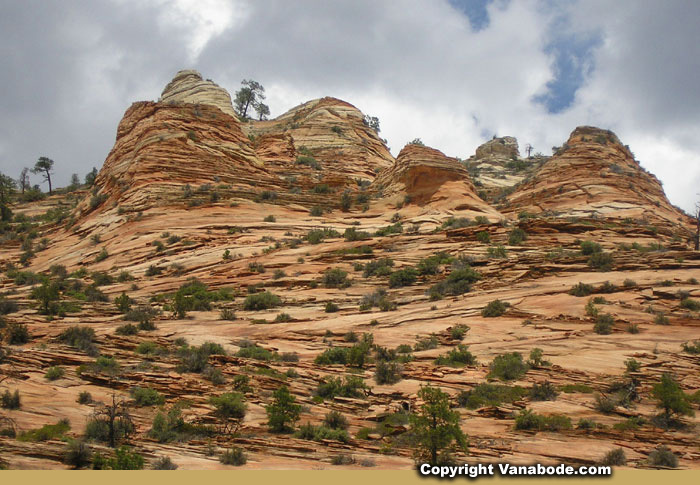 Slickrock is red sandstone that lacks a large concentration of iron oxide. Buttes and domes are formed from this easily eroded rock. The rock is rough with a loose layer of sand on the surface. 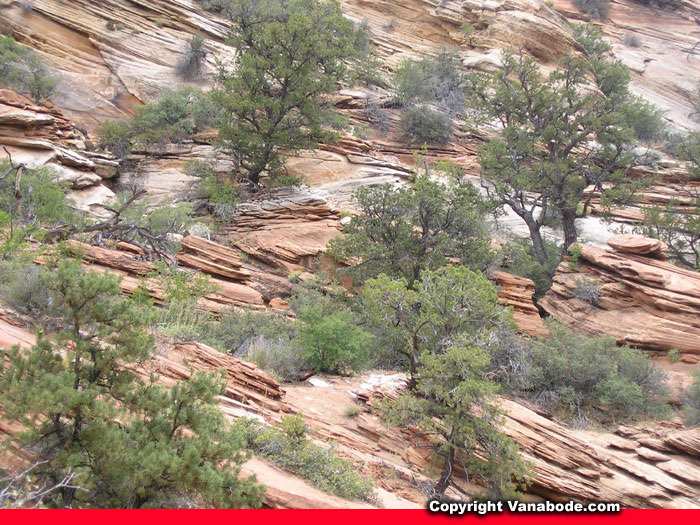 The east side of Zion National Park is where you will find slickrock which makes the rock formations spectacular. After about 80 steps at the start of this trail you will come across a charming fern-laced alcove with water seeping from the rock. It is a terrific place to take a break in the shade. There are also hoodoos all along this trail, and the sandstone cliffs make for an interesting picture. Almost to the Overlook the trail becomes flatter. The trail ends on top of the Great Arch which you can see while driving Zion-Mount Carmel Highway. Canyon Overlook has an elevation gain of 163 feet. It will take about 45 minutes to hike the one-mile round trip trail. Because this is a shorter hike it is one of the most crowded hikes in the park. 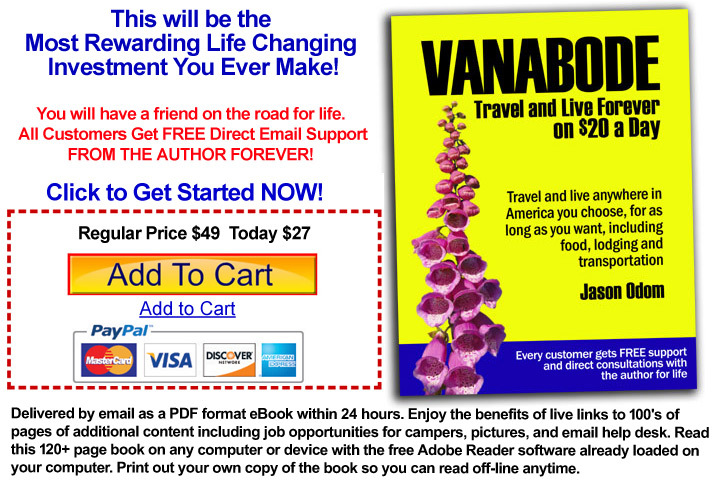 Jason's thoughts - If you are close by it is definitely worth doing. Fun and breezy at the top. Kelly's thoughts - Nice trail, beautiful colors, awesome rock formations. My favorite part is just being on the east side of the park, driving the switch backs of Zion-Mount Carmel Highway and seeing the splendor of Zion. The Great Arch is seen from the highway as well. Ben's thoughts - It was alright, I guess.